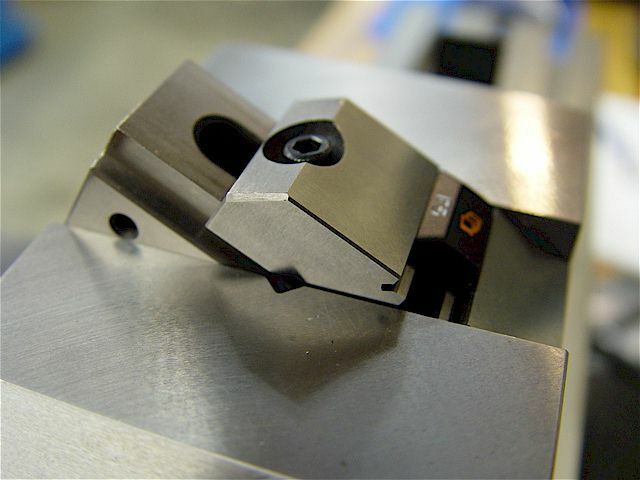 A 3-inch, screwless vise for the Taig mill. 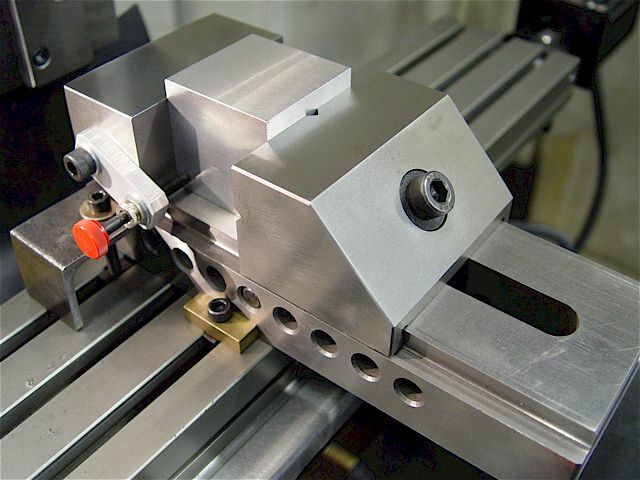 The original milling vise is not good enough for precision work. 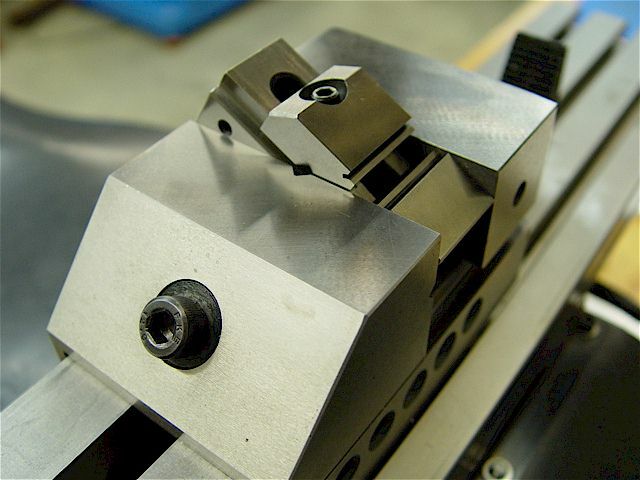 3-inch vise; adjustable, pivoting, solid-jaw mounted work stop. 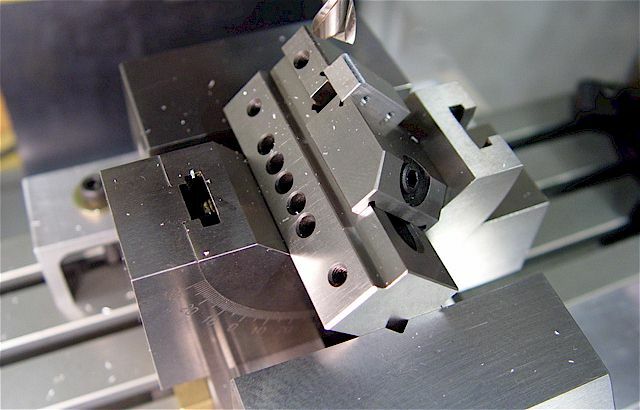 An M6-1 cap head screw holds the bracket. The adjustable 8-32 screw has a pressed-on knob, a tip that was diamond ground flat, & a knurled lock nut. 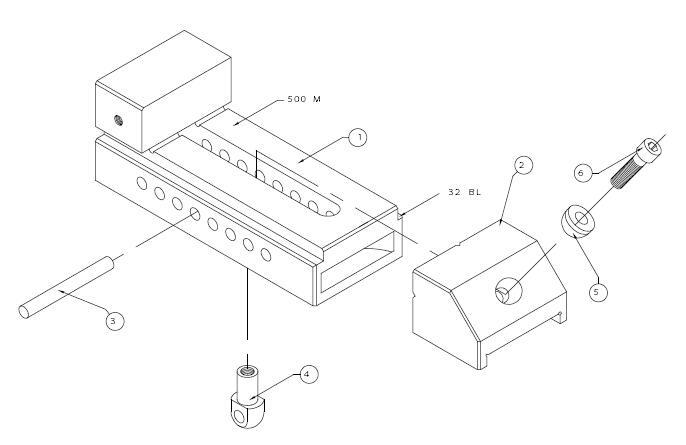 Of course, the stop can be pivoted out of the way, placed on the other side, or simply removed. 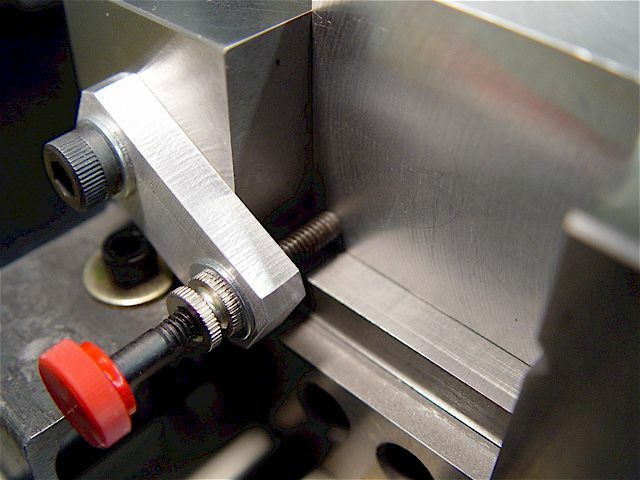 Milling flats onto a Taig 3/4-16 threaded arbor for a 7/8" wrench. 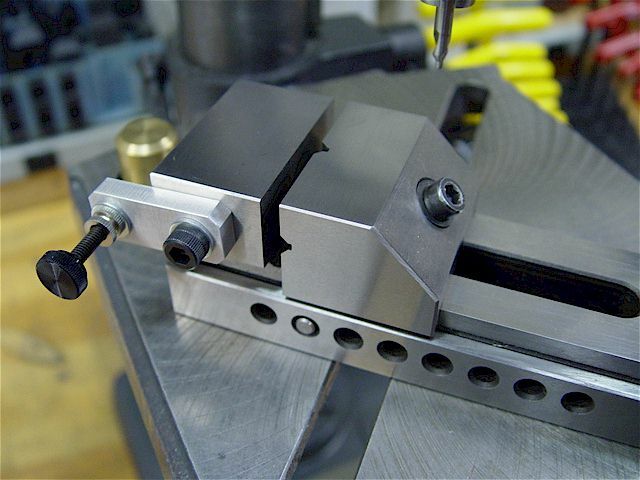 Not a screwless design but this excellent precision Tool Maker's vise can also be used on small mills. 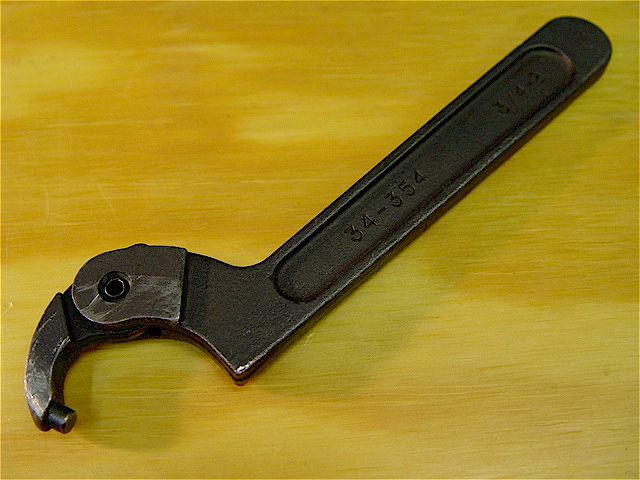 The Toolmaker's vise needs a pin spanner to fully tighten & loosen. 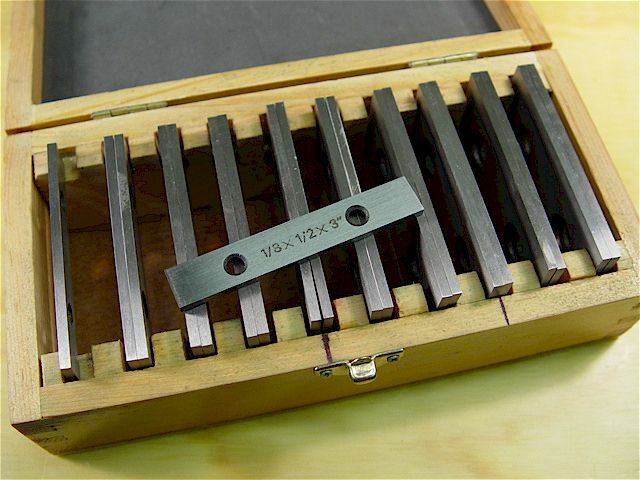 A variable angle V-block used to make 45 deg beveled edges. 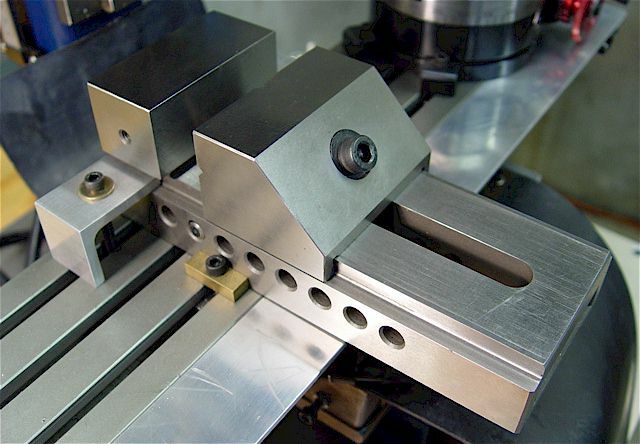 The 1-inch screwless vise, with built-in ground parallels, is being held at 30 deg by the 3-inch vise. A computer keyboard key was CNC engraved so it will have a trans-illuminated label. 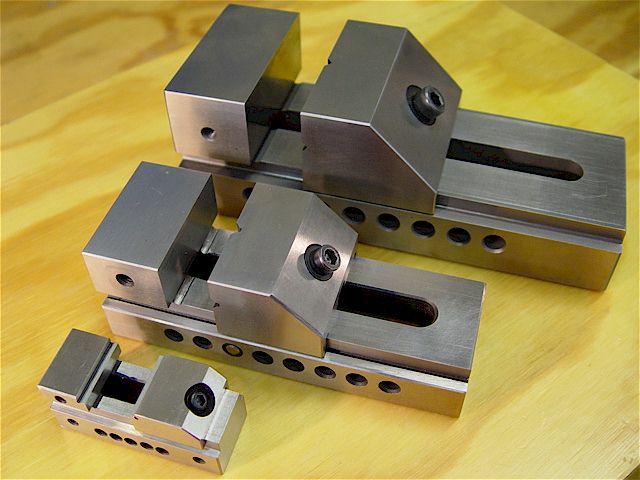 Top to bottom: 3-inch, 2-inch, & 1-inch screwless vise size comparisons. 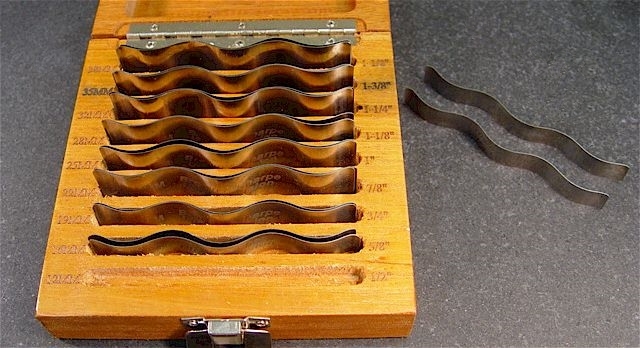 A set of 3-inch wide, precision ground parallels (import). 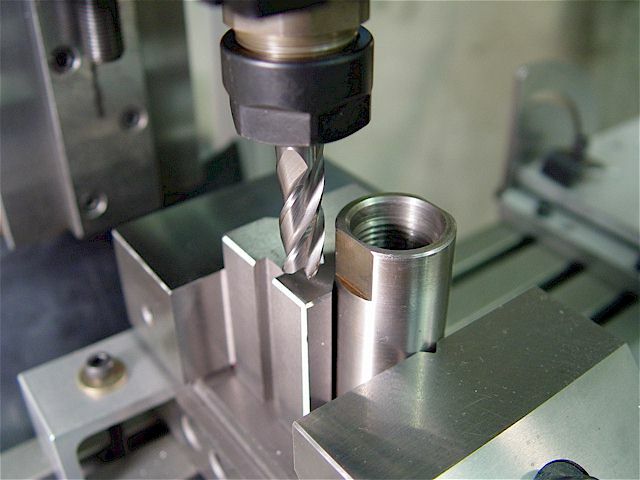 The shorter sets are ideal for smaller mills & vises. 4-1/2" long, wavy parallel set (Swiss). 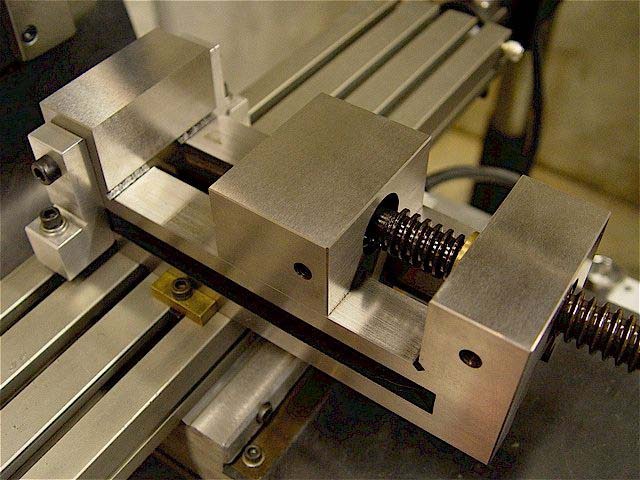 Spring steel can compress in the vise for very thin pieces.